February 16, 2010 - What started out to be a legitimate complaint has tuned into a media circus, brought about by comedian actor Kevin Patrick Smith who was removed from a Southwest Airlines flight out of Oakland California on Sunday morning due to his weight. Kevin Patrick Smith is a film producer, and director, as well as a comic book writer, comedian, and actor. He also hosts a weekly podcast show with Scott Mosier known as SModcast. 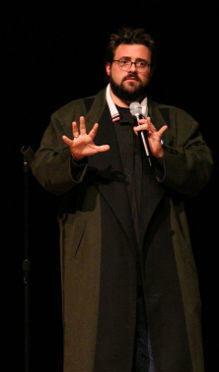 Smith is known for participating in long, humorous Q&A sessions that are often filmed for DVD release, beginning with An Evening with Kevin Smith. Smith had originally purchased two tickets to fly out of Oakland to Burbank, California on a mid day flight on Sunday. However, Smith decided that he wanted to go out on an earlier flight. He contacted Southwest Airlines and was put on a standby flight for Sunday at 7 AM. However, the ticket was for a single seat. Given Smith’s weight, it requires that he purchase two seats if there is no other empty adjoining seat. Most airlines have an “Overweight Passenger Policy” which requires the passenger to pay for a second seat if he or she is unable to fit into a single seat, unable to properly buckle the seatbelt using a single seatbelt extender and or is unable to put the seat's armrests down when seated. This airline policy has been in effect for a number of years. Its purpose is solely for safety and comfort for all passengers. One thing is clear, onboard seating areas on most aircraft are uncomfortable. Each seat is defined by two armrests that is barely sufficient to provide a tolerabel comfort level. The seats are confining, cramped and do not offer enough legroom. The standard seating configuration was not designed nor built to suite the average passenger never mind the overweight or the obese traveler. All paying airline passengers are entitled to comfortable seating and airlines should not be in the business of discriminating because of weight in order to squeeze every passenger on a flight. Over 70 percent of passenger complaints are from passengers who complained that the overweight passenger sitting next to them took up some of their passenger seating area. Airlines must change the onboard seating area to offer a great comfort level and accommodate all people. It would not hurt the airlines to provide several seats for overweight people. As a result of Smith being asked to get off the flight he went on a Twitter war with South West Airlines as well on his SModcast site ranting and raving obscenities. Such remarks included profanity and referring Southwest Airlines as the Grey Hound Bus of the airlines and flying on the welfare and food stamp airline. Smith comments have been inappropriate. Smith should be advocated for heavy and obese passengers using professional language. Many of you reached out to us via Twitter last night and today regarding a situation a Customer Twittered about that occurred on a Southwest flight. It is not our customary method of Customer Relations to be so public in how we work through these situations, but with so many people involved in the occurrence, you also should be involved in the solution. First and foremost, to Mr. Smith; we would like to echo our Tweets and again offer our heartfelt apologies to you. We are sincerely sorry for your travel experience on Southwest Airlines. As soon as we saw the first Tweet from Mr. Smith, we contacted him personally to apologize for his experience and to address his concerns on both Twitter and with a personal phone call. Since the situation has received a lot of public attention, we'd like to take the opportunity to address a few of the specifics here as well. Mr. Smith originally purchased two Southwest seats on a flight from Oakland to Burbank – as he’s been known to do when traveling on Southwest. He decided to change his plans and board an earlier flight to Burbank, which technically means flying standby. As you may know, airlines are not able to clear standby passengers until all Customers are boarded. When the time came to board Mr. Smith, we had only a single seat available for him to occupy. Our pilots are responsible for the Safety and comfort of all Customers on the aircraft and therefore, made the determination that Mr. Smith needed more than one seat to complete his flight. Our Employees explained why the decision was made, accommodated Mr. Smith on a later flight, and issued him a $100 Southwest travel voucher for his inconvenience. You've read about these situations before. Southwest instituted our Customer of Size policy more than 25 years ago. The policy requires passengers that can not fit safely and comfortably in one seat to purchase an additional seat while traveling. This policy is not unique to Southwest Airlines and it is not a revenue generator. Most, if not all, carriers have similar policies, but unique to Southwest is the refunding of the second seat purchased (if the flight does not oversell) which is greater than any revenue made. The spirit of this policy is based solely on Customer comfort and Safety. As a Company committed to serving our Customers in Safety and comfort, we feel the definitive boundary between seats is the armrest. It's clear that Smith was aware of the “Overweight Passenger Policy” and its also clear Southwest made some big mistakes. It's time for the airlines to revisit their “Overweight Passenger Policy” and training of its employees. The minute Southwest flight attendants let Smith on that flight, there shouldn't have been any reason to take him off the plane. If weight was the issue and I'm not convinced it was, it should have been handled before Smith got onto the plane. The airlines do have a responsibility to make it safe for all passengers, and in this case, Southwest Airlines failed in a number of ways. Are Flight Attendants and airport workers abusing their authority, in light of of 911, airport personnel have been give extra responsibilities which allow them at a whelm to kick someone off a flight?